Come to Ocean City for some fun in the sun and see that there is no doubt that Ocean City is your vacation destination of choice! New for 2019: Ideally located beachfront hotel accommodations right on the OC Boardwalk! Click DEPARTURE DATES above to complete your reservation! 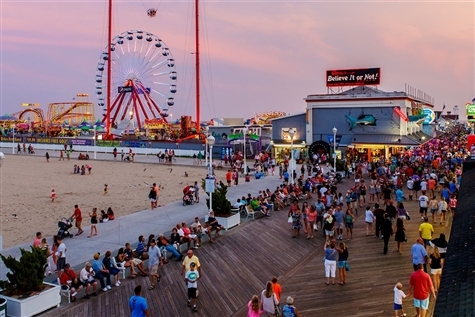 Ocean City, Maryland is The East Coasts Number One Family Resort, with activities and events that appeal to all ages. It's all about the beach; sun, sand and surf beckon. 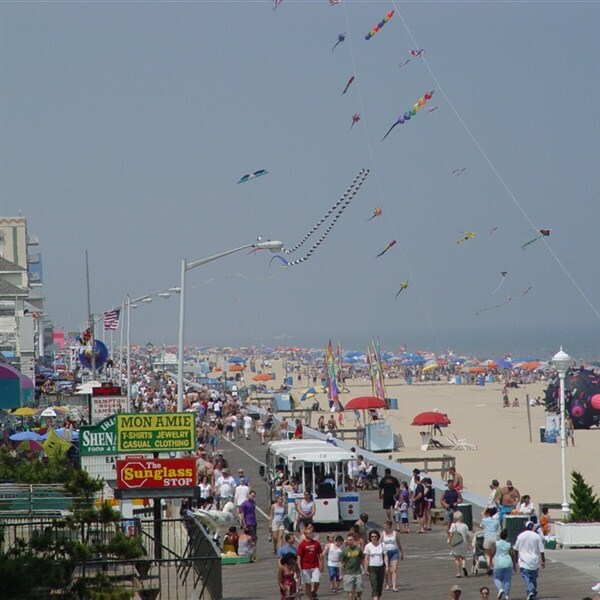 Ocean City is the place to be with 10 miles of the best white-sand beaches on the East Coast. Play on guarded beaches, and see who can spot the first dolphin. Or stroll together down the bazaar/arcade/theatre/buffet, otherwise known as the boardwalk, one of the Best Boardwalks in America by the Travel Channel. 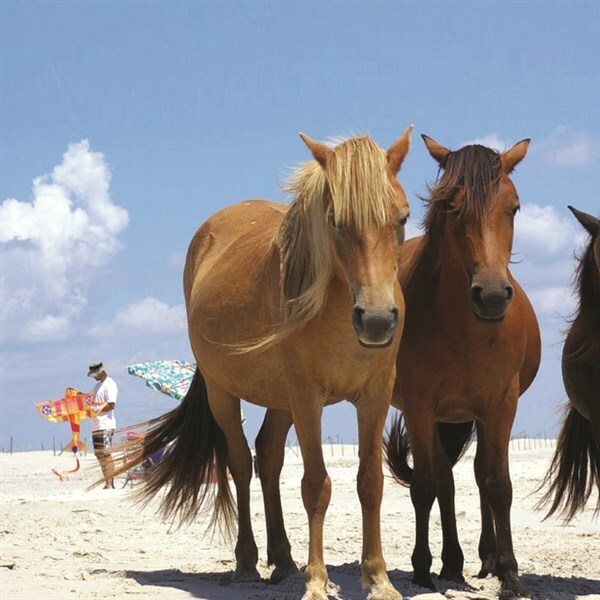 USA Today ranked it one of the top 10 great places in the country to have some fun on a boardwalk. Maybe this will be the vacation where you head out on the water for an eco-cruise, take a chance at the Casino at Ocean Downs, visit the Discoversea Shipwreck Museum, & marvel at the famous wild horses of Assateague, just a few miles down the road. So, come to Ocean City and have some fun in the sun! New for 2019: Ideally located beachfront hotel accommodations right on the OC Boardwalk! We board the coach this morning excited for the fun-in-the-sun that awaits us in our fabulous coastal vacation destination - Ocean City, MD. Upon arrival at our accommodations at the The Quality Inn Boardwalk (410-289-4401), we will enjoy a welcome reception. Located directly on the famous Ocean City Boardwalk, rated one of the top 10 in the Nation, this prime location puts you right in the middle of everything you will want to see or do in Ocean City. The hotel features free WiFi, an indoor heated pool, two sparkling heated oceanfront outdoor pool with sundeck, indoor hot tub, the poolside bar & grill, & the Ocean View Grill Restaurant. Dinner is included tonight at Harrison’s Harbor Watch Restaurant, choose from A Crab Cake, Garlic Shrimp Pasta, The Mahi Mahi, or Lemon Basil Chicken. (menu choices will be selected upon arrival) prior to an upscale "magical" evening performance at the Dickens Parlour Theater. A full breakfast is included at your leisure at the hotel this morning. Next we'll meet our local guide and depart for Fenwick Island, and enroute we'll enjoy a drive by history & photo op of the Fenwick Lighthouse. A visit to Discoversea Shipwreck Museum will follow. DiscoverSea Shipwreck Museum is an ever-changing exhibit that expands and diversifies with the acquisitions of new artifacts as they are recovered. Their collection of shipwreck and recovered artifacts is one of the largest in the Mid-Atlantic and contains shipwreck artifacts both regional and worldwide. This location houses about 10,000 artifacts at all times, while the other 80% are rotated throughout museum exhibits around the world. We will then return to the hotel later this afternoon and you will have the rest of the day on your own on the beach & boardwalk. Dinner is included tonight at the Embers Restaurant, an all you care to eat seafood (and more) buffet! Be sure to save room for the fabulous dessert bar! Next, try your luck under the dazzling lights at the Casino at Ocean Downs, which features live harness racing, simulcast harness racing, and slot machines. A full breakfast is included at your leisure at the hotel this morning. Then we will meet our local guide and depart for the docks to board "The Explorer" to embark on Eco-Friendly Cruise around Assawoman Bay! Lunch will be on your own in the historic walking town of Berlin, MD, before enjoy an escorted tour of Assateague Island's incredible "Home of the Wild Ponies" and Visitor's Center. We will then return to the hotel to freshen up. Dinner is included tonight at The Hobbit, an Ocean City favorite, (meal choices TBA). Following dinner we will return to the hotel for the rest of the evening. A full breakfast is included at the hotel this morning before we depart for home at 9am. Our approximate arrival in the Capital District is 6pm. Stops will be made each way.